Network all multimedia, environmental, and room-scheduling technology using existing IT infrastructure, and Crestron’s enterprise management platform will let you monitor and control these systems together from anywhere. No matter the campus size, Crestron saves time and money with easier and more efficient management of resources. The University of Hertfordshire is the UK’s leading business-facing university. The school prides itself on driving innovation. The recent renovations are part of the University’s 2020 Estate Vision programme, a series of updates and developments taking place over the next 10 years. 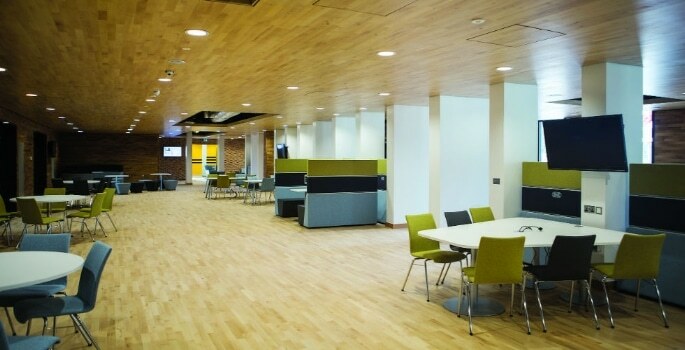 The aim of this stage of the programme was to create an informal learning area for students adjacent to the main reception. The space features a variety of seating areas to give students a choice of learning environments, such as three ‘study booths,’ a presentation area, and café. 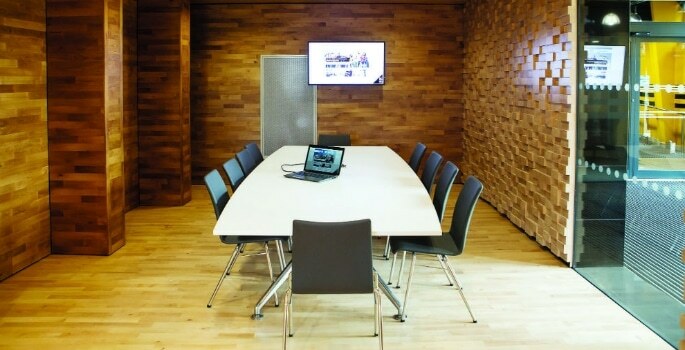 The presentation area features a wall-mounted control panel to provide total room control from one, convenient point. Crestron’s simple to use Connect It™ Presentation Interface provides one touch control and connectivity to student laptops so they can share content on the displays. Crestron DigitalMedia can be utilised across a full suite of solutions in any educational environment; from simple collaboration within small classrooms all the way to large-scale presentation and annotation solutions within auditoriums. 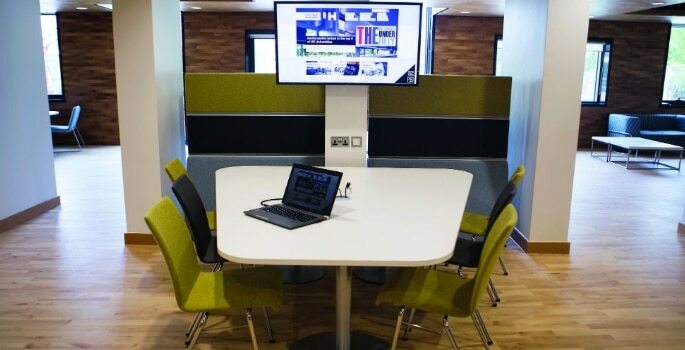 All Crestron solutions are customisable to each individual learning space, remaining cost effective, simple to install and easy to use for both teachers and students.